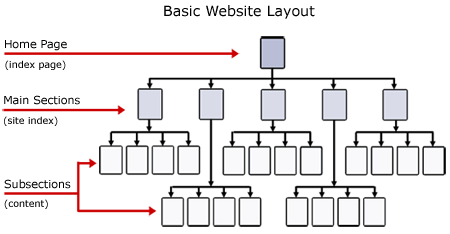 Before hiring a website design company, you should develop a sitemap to get an idea of how many pages you need and what purpose each page will serve. This will help streamline the web development process, reduce the number of revisions and ensure a faster launch. In this article, we discuss how to plan your dental website to improve SEO and deliver a positive user experience. Website Pages Organized into Main Sections & Subsections. About – An overview of the dental office including some history and services offered. Meet the dentist(s) – An about page for the dentist to discuss their education, experience, achievements etc. Each category and procedure page can be used to educate visitors about the treatment and encourage them to call or set an appointment to discuss their options with a dentist. The purpose of the entire website is to get visitors to contact you and therefore the contract page is very important. However, in a dental website a contact page is more than a form and address. You should include location map, driving directions and operating hours. You must also include new patient forms and payment information. Here is how you can structure your contact us section. No dental website is completed without a special offers page. This page includes information about the various promotional offers and discounts you have been running to attract new patients. Many websites run special offers in the sidebar. Having a separate page allows you to share the link with prospective patients so they can easily go through all the discount offers. The homepage is the most important page in your dental website since most prospective patients will see this when they find your website. It is important to make a good first impression. Therefore, try to feature the best content and the most important procedures on the homepage. If you are having trouble brainstorming your website architecture or need help with dental website development, do not hesitate to contact us for a free consultation.